The digestive function is a very complicated process and if we are lacking in enzymes, this further complicates the process. Enzymes are responsible for carrying out virtually every metabolic function in our bodies; there are very delicate nutrients. We have about three thousand unique enzymes in our bodies that are involved in over seven thousand enzymatic reactions. Without enzymes we would cease to function. Some of these enzymes play a vital role in our digestive health. Bee Pollen– is considered to be one of nature’s most complete foods. It contains nearly all the nutrients needed by humans and has a wide range of beneficial enzymes, such as amylase, catalase, cozymase, cytochrome, dehydrogenase, diaphorase, diastase, pectase and phosphatase. Bee pollen can be consumed in oatmeal, superfood snacks and smoothies. It has been known to cause allergic type reactions, so be aware of this when using bee pollen for the first time. Fermented Vegetables– are an excellent dietary source of many nutrients, including live enzymes that effectively improve the digestive process. Fermented vegetables go great with any meal as a side dish or they can be eaten on their own. The fermentation of Sauerkraut, and Kimchi was developed centuries ago as a way of preserving vegetables for consumption through the winter months. Papaya-papain is one of the proteolytic enzymes found in the Papaya fruit. This enzyme is a great aid in the digestive process. Papain has been said to be one of the most effective enzymes in breaking down meat and other proteins. Papain breaks down the proteins into amino acids that used in the growth and repair of the body. Papaya should be eaten about half an hour before a meal. Pineapple– bromelain is one of the dozens of complex substances that are extracted from the stem and core of the fruit of the pineapple. The most studied of these components are protein digestive enzymes called cysteine proteinases. These enzymes do not only offer digestive benefits, but also assist with excessive inflammation, coagulation of the blood and certain types of tumor growth. Pineapple should be eaten about half an hour before a meal. Avocados– are superfoods that are loaded with nutrients that support digestive health. Even though avocados are high in calories (117 calories are in1/2 cup of sliced avocados), they have many beneficial nutrients, such as healthy fats, vitamin C, vitamin E, vitamin K and several other important nutrients that support digestive health. Here are 3 super nutrients found avocados that support good digestion. Dietary Fiber– plays a major role in digestion, because as it passes through your digestive tract, it absorbs water to soften and loosen stool. This helps prevents constipation. The daily fiber for men and women are between 13 and 19 percent respectively, after consuming a cup of sliced avocados which contain 4.9 grams. 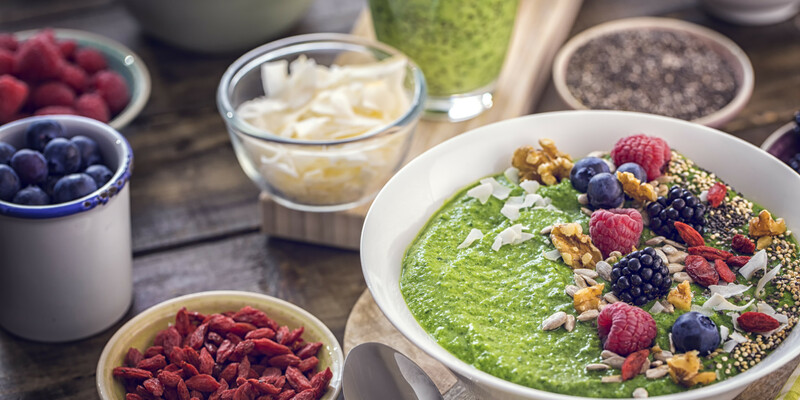 Research shows that a diet high in fiber lowers the risk of diverticular disease, which is growth pockets found in the colon called diverticula. Vitamin C– present in avocados promotes good digestion. Our digestive tract contains collagen, which is the most abundant protein in the human body and is a substance that holds the whole body together. In other words, collagen has tight bonds to provide tissue strength. This vitamin C helps produce enough collagen to maintain tissue strength in the intestinal walls. Having a diet rich in vitamin C offers other digestive benefits, including a lower risk of gastric cancer. • A cup of diced avocados offers 7.3mm of vitamin C, which makes up about 8 to 10 percent of the recommended daily intake for men and women respectively. B-Complex Vitamins– adding avocados to your diet will increase your intake of the B-Complex vitamins. These nutrients support healthy digestion by, helping your cells extract fuel from your food. For instance, vitamin B-6 helps you metabolize protein, while pantothenic acid converts carbohydrates, fat and protein into energy. A cup of sliced avocados contains 188 micrograms of vitamin B-6 and 1.01 milligrams of pantothenic acid. These amounts represent 14 and 20 percent of the daily recommended amount of vitamin B-6 and pantothenic intake respectively. Other B-complex vitamins contained in avocado in smaller amounts are niacin, thiamine and riboflavin. Blueberries– are known for their high antioxidant nutrients content. Antioxidants are well known for their potential benefits to the nervous system and to brain health. Blueberries also, support digestive health. They are a natural source of soluble and insoluble fiber, which help regulate your gastrointestinal tract, by just consuming a few handfuls daily. Research shows that eating wild berries can positively alter the balance of microbes in the gut; berries have prebiotic potential, which promotes the growth of good bacteria (probiotics) in the colon. These prebiotics and probiotics support and promote good healthy digestion. Flax Seed– is known to have the highest magnesium content in the world. One of the biggest benefits from flax seed, maybe it’s nutrients to promote digestive health. The alpha-linolenic acid (ALA) in flax seed can help protect the lining of the digestive tract and maintain good gastro intestinal (GI) health. It also helps to lower gut inflammation. Flax seed is very high in soluble and insoluble fiber, which improves digestive health. This fiber helps clean waste from our digestive system, because it provides food for the friendly bacteria found in the gut. Flax seed nutritional facts- 1 ounce (3tpsp) serving of flax seed contains: • 6,338 mg of Omega – 3 (ALA) • 8 g of Fiber • 6 g of Proteins • 31 % of Vitamin B1 • 35 % of Manganese • 30 % of Magnesium • 19 % of Phosphorus • 10 % of Selenium Flax seed also have good amounts of vitamin B6, iron, potassium, copper and zinc. Aloe Vera– the Aloe Vera plant has powerful anti-inflammatory nutrients that make it useful in soothing a number of digestive issues. It is also rich in enzymes and has anti-viral, anti-fungal and antibacterial properties. The juice from the aloe Vera plant can be helpful for acid reflux problems. The benefits derived from the aloe Vera are found in the inner gel of the plant. When consumed, this gel has been found to be helpful for, parasitic infection, candida infections and constipation. Chlorella– is a single cell fresh water algae superfood, loaded with nutrients. It contains all the; • B Vitamins • Beta-Carotene • Amino Acids • Vitamin C • Trace Minerals • And a high protein content. This is why it is often referred to as the near perfect food. Chlorella encourages healthy pH levels in the gut, which helps good bacteria to thrive. It helps with the detoxification of heavy metals, such as mercury. Chlorella is also rich in fiber, which helps to tone the lining of the intestines and keep you regular. Conclusion It is really important that we maintain good digestive health, exercise and drink lots of water. The health industry recommends that we should drink at least 8 glasses (8oz) of water daily. 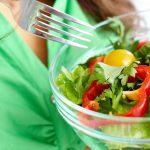 The foods discussed in this article give us a focus as to the types of foods that can be consumed to maintained good digestive health. 1 Alkaline foods –Drink an alkaline promoting drink, for example, a simple combination of water with lemon or lime or a greens smoothie. Include oat meal as part of your breakfast. Alkaline foods serve as an offset to the acid producing foods like meat and carbs. 2.Digestive support –Incorporating a digestive enzyme product, like Fermented Greens Supreme Food, especially with cook foods, will help your body digest these foods much more efficiently. The enzymes in product will help you avoid digestive related issues, such as, acid reflux, heartburn, gas, bloating and constipation that occur when your body lacks the necessary enzymes to break down the foods that you eat. 3.Drink lots of water –Staying hydrated by drinking plenty of water is great for you digestive health and for your overall health in general. Adequate water in your digestive system helps to breakdown soluble fiber and fats. As a result, these substances flow through the digestive track much more easily. Also, since the adult human body is about 60% water and the brain, heart and lungs are composed of about 73% and 83% of water respectively, the need to be hydrated is very important. Water is “the liquid of life”. 4.A diet high in fiber –Eating a diet high in fiber, helps the food to flow through your digestive track easier, reducing the instance of constipation. A high fiber diet reduces the possibility of digestive conditions such as, irritable bowel syndrome and hemorrhoids. Maintaining a healthy body weight is an additional benefit of consuming a high fiber diet. Foods that are high in fiber are beans, oat cereals, Brussel sprouts, oranges and flaxseeds. 5.Exercise –You can improve your digestive health by simply doing sit-ups and crunches in the comfort of your own home. These exercises make the abdominal muscles stronger and consequently, the colon functions more efficiently. Walking can also improve your digestive track by increasing the blood flow to the colon and intestines. 6.Foods high in fat –Foods that are high in fat, generally slow down the digestive systems and increases the possibility of constipation. These foods should be consume in very small amounts and should be paired with high fiber foods to make it easier on your digestive system. 7.Schedule the times you eat –Eating at schedule times help your digestive system to function more efficiently. This gives your body time to properly digest the food before your next meal. Eating breakfast, lunch and dinner about the same time every day is something to seriously consider. 8.Soluble and insoluble fiber –These two types of fiber are very important to the digestive system. Soluble fiber helps to prevent stool from being too soft or water. Sources of soluble fiber are flaxseed, oat bran cereal, nuts, seeds and legumes. Insoluble fiber, commonly known as “roughage” cannot be digested by the body, but adds bulk to the stool. Good sources of insoluble fiber are greens, whole peas, green beans, bell peppers, eggplant, celery and kernel corn. 9.Stress control –Meditation is a great way to reduce stress. Research shows, that when we are relax our digestive health is positively affected. Too much stress can cause your digestive system to work overtime. The nutritional value of foods we consume and our life style, have a great impact on the way our body digest those foods eaten. Exercising, including fiber and drinking plenty of water all aid in improving our digestive health. Breaking down the food you eat into nutrients the body needs, is the function of our digestive system. If you neglect your digestive health this can cause your body to have problems digesting and absorbing the nutrients from the food you consume. Improving your overall health and having a feeling of well-being are the outcomes of taking steps to improve your digestive health. Eat healthy foods and live a sensible lifestyle. Digestive Enzymes are enzymes that are produced into the gut to break down the food that we eat, releasing nutrients that are absorbed into the blood stream, providing energy, cell growth and cell repair. Enzymes also assist in eliminating what cannot be used or adsorbed. Without enzymes, food would just sit in our gut and slowly rot. Enzymes fall into the following general categories: lipase, that break down fats, amylase handles carbohydrates and protease that work on proteins. The need for digestive support. The case for taking supplemental enzymes is clearly one that should be taken seriously. Raw foods contain the enzymes to digest it, however, most of us are not on a raw food diet. When our food is cooked, the enzymes contained in the food are destroyed and our body has to produces its’s own enzymes in order to digest our food. Consequently, this puts stress on our digestive system, especially since most of us consume more processed foods and meals high in calories and fat. Digestive enzyme supplements help us digest our meals more efficiently and provide a better delivery of the nutrients to our body. Enzyme supplements have been clinically proven to reduce the effects of bloating, gas, occasional heart burn, acid reflux and constipation. Digestive enzymes supplements have much broader benefits, than just digestive related discomfort, they help support our immune system and increase our enzyme levels. Our immune system works more effectively when there is a high level of digestive enzymes. The research on digestive enzymes is growing daily and many studies on digestive enzymes can be found in well-known journals, such as the American Journal of Digestive Disease and Nutrition, the International Journal of Oncology and the International Journal of Immunotherapy. The undeniable fact is that we are getting older every day and the reality of this fact is our bodies produce less total enzymes, including digestive enzymes. Just like everything else in our bodies- our eyes, heart and other organs all show a reduction in function over time. Studies have shown that the same holds true for our enzyme making organs. In fact, by the age of 50 we are probably making half the amount we did when we were younger. As a result, we may not be digesting and absorbing all the nutrients we need as we age, thus lowering our immune fighting capacity and actually hastening the aging process. Our lifestyle, also play a major role in how our digestive process, function. Poor dietary habits require excessive amounts of enzymes to digest such foods. This puts stress on our digestive mechanism, making it work harder to perform the normal digestive function. Pollution from the environment causes damage to our cells and this requires ongoing assistance from digestive enzymes in order to maintain a healthy immune system. The process of everyday living causes our bodies to use up enzymes that must be replaced, if we are to maintain the healthy, active lifestyle that we should have. The age factor and lifestyle are really compelling reasons why we should use supplemental digestive enzymes to help support our digestion, improve our overall health and to bring our systems into balance. Let us face it, we live in a fast paced society and many times we have to eat “on the run” and we do not always make the most-healthy decisions about the foods that we eat. The truth is, when we do not eat healthy our digestive organs have to work overtime, producing digestive enzymes to digest foods that really have no digestive enzymes in them. Even when we eat the foods that are supposed to be healthy for us, the enzyme content is diminished, because the soil these foods are grown in, are over use and the mineral content is minute. Also, the pesticides that are used in the growing process reduce the enzymes in our foods. What is acid reflux/”common acid reflux”? Acid reflux is caused by gas pushing partially digestive food upward through the esophagus toward the back of the throat. As a result, there is an acid burning taste in the esophagus and in the throat that causes considerable discomfort. This mainly happens, as we get older. Heartburn happens when your stomach produces too much acid during the digestive process. This excess stomach acid moves up into the esophagus, causing discomfort. Heartburn is usually caused by diet, lifestyle changes and the aging process. Bloating is a feeling of the abdomen being full and tight and is usually accompanied by gas. Bloating is a sign that food is not being digested correctly by the body. Constipation is a change in normal bowel movement, which is evident by going less frequent than usual, passing dry hard stool or straining when you go to defecate. Un-digestive food can increase the problems of constipation. 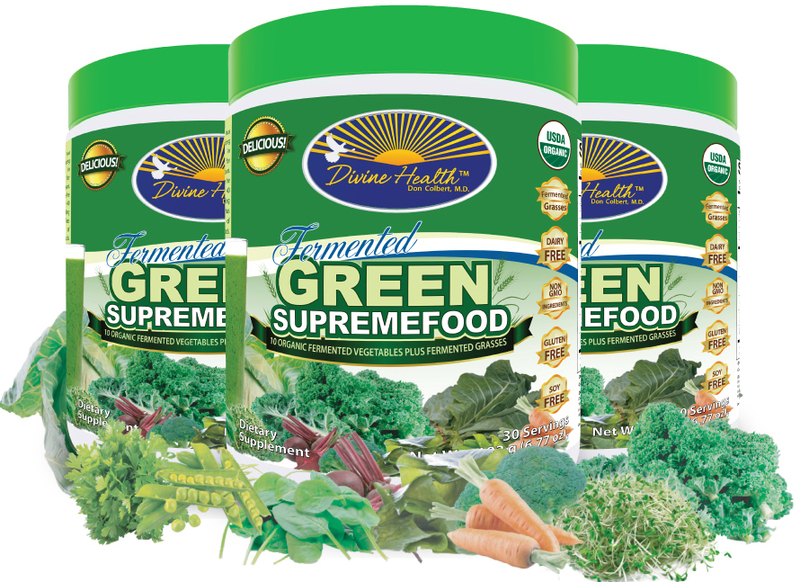 Fermented Greens Supreme Food is the ideal product that anyone who is having any digestive issues should consider. 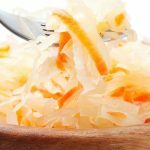 Fermented foods, increases the bioavailability of the nutrients in foods making them easier to digest and increases the number of good bacteria consumed. The health and balance of your gut, or the microenvironment of the digestive tract, is enhanced and strengthened by fermented foods. Acid reflux commonly called heartburn is caused by stomach acids flowing back into the esophagus. During the act of swallowing there is a muscle that surrounds the esophagus called the esophageal sphincter, which relaxes so that food can enter into the stomach; after the food passes into the stomach this muscle tightens. Acid reflux happens when the esophageal sphincter relaxes when it should not and stomach acids flow back into the esophagus. The occasional heartburn can happen to anyone. The following foods can help in developing acid reflux; spicy foods, fried foods, fatty foods and chocolate. Acid reflux symptoms include burning in the chest, a sore throat and sometimes a raspy voice. Heartburn can sometimes be mistaken as having a heart attack; the symptoms usually start after eating. You should not be overly concerned if you experience the occasional reflux, however if this condition happens frequently, it is possible that you might have gastroesophageal reflux disease. If this is your reality you should see your doctor. But, for the normal bout of reflux, acid reducers purchased over the counter can be effective; also there are home remedies or do it yourself things that you can effectively implement. Probiotics help keep your digestive tract healthy because they have live bacteria and yeast. Probiotics work by giving a healthy balance of good bacteria and can prevent gastrointestinal symptoms and other illnesses that occur in the gut. The occurrence of excess stomach acid may be prevented if the correct balance of healthy bacteria is maintained. Probiotics can be taken as a daily supplement to help you maintain a healthy digestive system. Acid reflux can be caused by foods such as chocolate, fried foods, citrus fruits and spicy foods. Therefore, it is very important that you pay close attention to the foods that you consume, with the intension of figuring out which foods trigger an acid reflux event. Once you find out which foods trigger a reflux bout, these foods can be eliminated from your diet. Oatmeal, ginger, almond milk, bananas and applesauce are foods that should be added to your diet to greatly reduced your chances to having a reflux event. Additionally, eating slowly and chewing your food thoroughly should be a strategy along with your acid reflex prevention diet. Ginger has been used for centuries in traditional medicine and has provided many powerful benefits to every system in the body. The ginger root is mostly known for its ability to calm an upset stomach, nausea and to support in the overall digestive function. The anti-inflammatory properties of ginger and its power to enhance the flow of bile are two reasons why ginger is so great in improving our digestive health. Acid reflux, commonly known as heartburn is generally nothing to fuss about. Normally it is really not serious. Mostly you can take care of this reflux through do it yourself or home remedies. If your acid reflux does not go away through the do it yourself ideas mentioned above; you might have a more serious problem and should consult your doctor. During the winter months many people including myself sometimes feel exhausted and tired. This feeling is caused by a reduction in our energy levels and this impacts our daily activity and production abilities. The saying that “we are what we eat” is very true. Our energy levels are determined by the serving size and the type of food that we eat. Therefore, the more nutrient content food that we eat the better our energy levels will be. If we are to stay focus, increase our alertness and enhance our energy levels, we must consume foods that have the right nutrients. The following green leafy vegetables are pack with great nutrients that provide the body with energy. Let us discuss kale, collard greens and spinach. 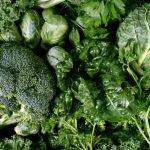 Kale is known as a “nutrition powerhouse” and is one of the healthiest vegetable on earth. Kale is a great source of antioxidant vitamins A, C, K, calcium, folate and potassium. 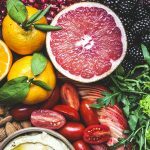 There are also specific types of antioxidants called carotenoids and flavonoids which are known to provide health benefits for cancer patients. One cup of kale has 5g fiber, 0g fat, 10g carbs, 4g protein and 70 calories. Collard Greens are laden with fiber which reduces the severity of LDL the “Bad” cholesterol in the blood. Collard greens if eaten regularly will help with acute bowel disorder problems, hemorrhoid disorder and also protects the body against free radicals and other types of infections. This vegetable contains vitamin K, and other minerals which increase stamina and energy levels. The nutrients in one cup of collard greens: 25 calories, 5g carbs, 0g fat, 3g fiber, 2g proteins. Spinach is low in calories, high in vitamins and is one of the most nutrient-dense foods in existence. It contains vitamins A, C and folate. The flavonoids in spinach work together as cancer-causing antioxidants, and to neutralize free radicals in the body. The magnesium in spinach promotes healthy blood pressure levels and as a result good energy production is maintained. The nutritional content in one cup of spinach equals 0.12g fat, 4.3g fiber, 0.86g protein, 1.09g carbs, and 7 calories. Brown rice is another great nutritious food that is high in fiber content and is low on the glycemic index. As a result, brown rice can help in the regulation of blood sugar levels and also normalize energy levels during the day. It is much healthier to consume brown rice, because it has minerals, vitamins, fiber and is a better choice than white rice which is more processed and less nutritional. One serving size of long-tail brown rice (194 grams) contains carbohydrates (84%), fat (7%) and protein (9%) of the recommended daily intake of 2000 calories. The body utilizes these nutrients to generate energy. One simple food that everyone is familiar with is Bananas. This food provides an abundance of potassium, carbohydrates and vitamin B6. These nutrients are well known for increasing energy levels in the body. Bananas also contain an amino acid called tyrosine, which is utilized by the body to produce norephedrine and dopamine. A reduction of fatigue and an increase in mental performance are the result of these hormones. Including fish such as salmon or tuna in your diet provides fatty acids, B vitamins and proteins. One serving of either tuna of fish gives you the daily recommended amount of vitamin B12 and omega-3 fatty acids. Omega-3 fatty acids are known to reduce inflammation and as a result fatigue is also reduced. Studies have shown that omega-3 supplements might be responsible for reducing fatigue in patients recovering from cancer. The combination of vitamin B12 and folic acid increase the production of red blood cells and enhance the function of iron in the body. When iron and the red blood cells are at correct levels, the body produces higher levels of energy and fatigue is decreased. Water is known as the “liquid of life”. The body is made up of about 55 to 60 % of water. Water is essential in maintaining body temperature, blood volume and to transport nutrients. Drinking plenty of water every day is very important in keeping the body hydrated, to maintain essential body functions and to also keep up energy levels. The Health and Medical Division of the National Academies of Sciences Engineering and Medicine suggests that adult women should have 91 ounces of water daily and for adult men around 125 ounces of water daily. This recommendation includes water from all sources, including the food you eat and beverages. The foods mentioned above are just a few of the foods that can be included in your daily regiment to boost energy levels. 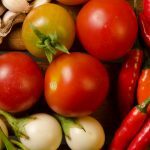 There are many other foods that are known to support energy levels, but they are too many to include in this article. In the fast pace society that we live in, it is really important that we consume foods that are laden with nutrients to increase your power and stamina. Foods high in fiber, protein, vitamins, minerals and antioxidants are the right foods to add to your diet. 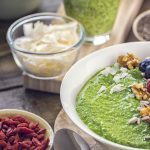 What is Fermented Green Superfood? Divine Health’s Fermented Green Supremefood contains a unique blend of 100% USDA organic Fermented Grasses, prebiotics, probiotics, fruits, vegetables and digestive enzymes. This product is loaded with nutrients that provide nourishment for your cells. This supplement provides antioxidant ingredients that are ideal for good overall health. These nutrients assist in energizing, alkalizing and balancing the pH level in our cells. It is easy to digest, has a great taste and blends just right in water, juice or smoothies. Fermented Green Supremefood is gluten free, soy free, dairy free and is USDA organic. What are the nutrients in Fermented Green Supremefood? Organic Greens Blend: The organic greens blend contains spirulina, chlorella and organic grasses. Spirulina supports and improves the function of the liver and also aids in the detoxification of the immune system. It is a sixty percentage vegetable protein. Chlorella helps in cell reproduction and assists in the restorative processes that establish healthy tissues and organs. Chlorella also, supports the breakdown of heavy metals and helps in the digestive process by increasing the growth of beneficial bacteria in the gut. The organic grasses are naturally loaded with calcium, copper, iron, potassium, manganese, zinc, chlorophyll and enzymes. Prebiotic and Probiotic Blend: These nutrients have been shown to improve digestive health. They are organic inulin, L. acidophilus, B. longum, L. casei and L. rhamnosus. These nutrients are an abundant source of good beneficial bacteria. Organic Botanical Blend: Green tea leaf extract, Milk thistle seed extract, Rosemary leaf, Cinnamon, Licorice root and Cinnamon bark extract. Green tea has antioxidants and milk thistle supports healthy liver function. Enzyme Blend: Protease, Amylase, Bromelain, Cellulase, Lactase and Lipase. These enzymes are essential in the digestion of protein, starch, milk-dairy products and fats. 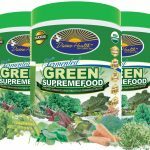 Fermented Greens Supremefood is an amazing product that provides an array of health benefits to anyone who wants to improve their overall health. The cold drying manufacturing process preserves the sensitive bioactive components and phyto-nutrients, consequently maintaining optimal nourishment for our cells. Please note the following health benefits. This time of the year is a time for travel, celebrating with friends and family and simply having a jolly good time. However, you must be cautious and pay attention to the types of food that you consume especially if you are one of the 70 million Americans who suffer with a digestive disorder such as acid reflux, constipation, and diarrhea; just to name a few. The following 8 foods are bad for your digestive health. Chocolate: If chocolate is that “sweet tooth” that you indulge in, proceed with caution; it has caffeine which can trigger digestive symptoms like heartburn. It is also a diuretic and can cause loose stool and diarrhea. Processed Food: Processed foods are foods that are not in their original state, they have been refined. These foods pass very quickly through the digestive system and can lead to cramping, bloating and gas. The low nutritional content, high fats and calories can cause weight gain and increase blood sugar levels. Potato chips, soda, white rice, and white bread are examples of processed foods. 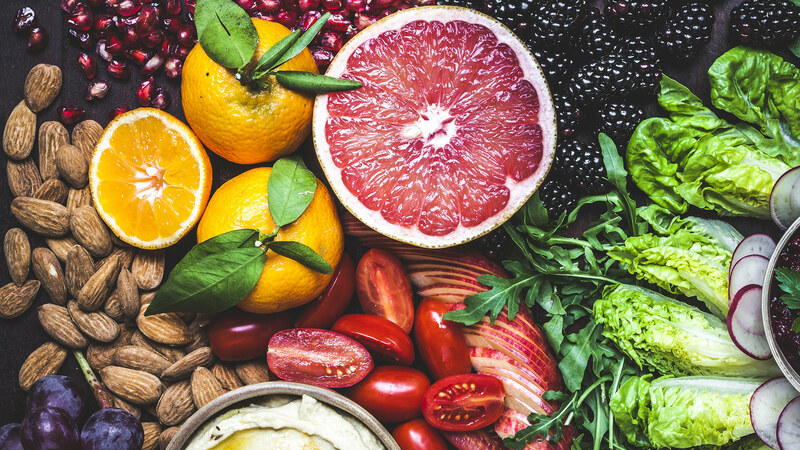 Acidic Fruits: Even though eating fruits and vegetables are healthy; fruits like oranges, limes, grapefruits and tomatoes are high in acid and may cause acid- reflux. Eating these foods on an empty stomach will make the acid reflux even worse. Fried or Greasy foods: are known by gastroenterologists to be on the worst food list, because they are generally unhealthy, high in calories and fats and also very difficult to digest. Fatty steak (rib-eye), French fries and any deep-fried foods are a few of the well-known offenders that can trigger an acid reflux episode. Research shows that these foods can relax the valve between the stomach and sphincter. The relaxation of this valve allows acid to flow backwards into the esophagus, and results in a really bad case of heartburn. Coffee: Coffee, although not a food, is such a popular beverage that it is worth mentioning here. According to the American Chemical Society, coffee has so irritated the stomach lining, that 40 million Americans have stopped drinking it. Coffee stimulates acid production in the stomach, which can cause inflammation and consequently heartburn. Also, the caffeine in coffee acts as a diuretic and the end result in dehydration and constipation. Spicy Food, Chili Peppers: It is really a treat to eat foods that are spicy because of the unique flavor that spice adds to our food. The down side to eating spicy chicken wings, jerk chicken or hot curry chicken is heartburn or acid reflux. Spicy peppers added to your food can also burn you esophagus. When eaten close to bed time spicy foods can cause more severe digestive problems. Artificial Sweeteners: One of the main reasons that artificial sweeteners are used is because of the belief that they are lower in calories. However, your digestive systems suffer when these sweeteners are substituted for natural sugars. Artificial sweeteners have ingredients that increase inflammation and cause diarrhea, gas and bloating, especially sugar alcohols which are only partially digested. Alcohol: must be included here even though it is really not a food, but because it is use by so many. Even if you drink in moderation, alcohol can cause acid reflux or heartburn by relaxing the sphincter muscle allowing acid to flow back into the esophagus. Over indulging in drinking alcohol can cause cramping, diarrhea and can also inflame the lining of your stomach. Conclusion: Eating healthy on a daily basis or incorporating healthy foods into your diet can be very challenging. This article provides eight foods that should not be included in your daily food consumption especially if you have digestive issues. Remember to eat healthy, drink lots of water and have a great holiday season and a happy and healthy New Year. The papaya is a delicious exotic fruit that is loaded with healthy nutrients. It is usually found in tropical regions like Mexico, Central America, Hawaii and the Caribbean. 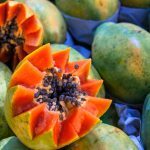 There are two main types of papayas, the Mexican papaya which is around 10 pounds and the smaller Hawaiian type, normally seen in supermarkets and grocery stores. Papayas when ripe are yellow in color, the edible flesh is bright orange and the seeds are black. Papayas can be eaten “unripe or green” but must be cooked and can also be used as a meat tenderizer. 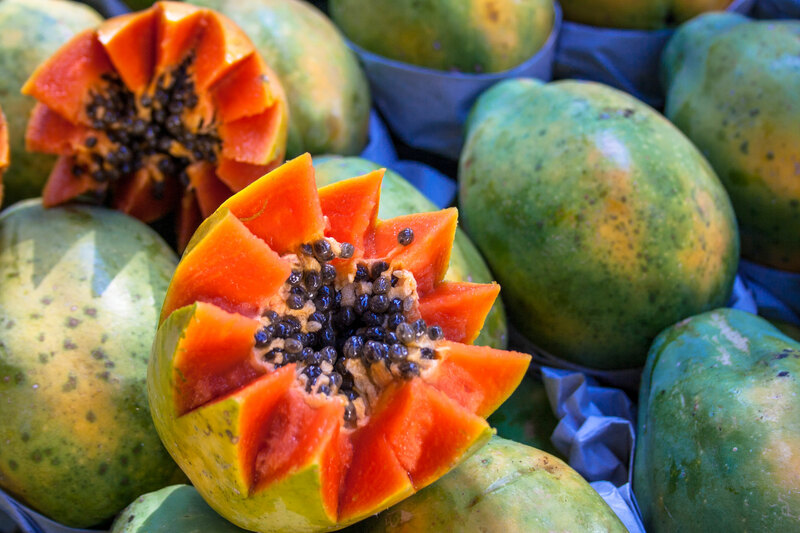 The following benefits will encourage you to include papayas in your diet. Digestive Support: Papaya is known for the enzyme papain. This enzyme papain is one on the proteolytic enzymes that breaks down protein into peptides and eventually into amino acids. In our fast pace society, sometimes we eat junk food, large serving sizes, rush meals and too much red meat. Low digestive enzymes, too much stomach acid and poorly functioning digestive systems are good reasons to include papaya into our diet. Advantages of papain: Papain is thought of as being comparable to the pancreatic enzyme pepsin, because it is very effective in breaking down meats and other proteins. In scientific cell isolation procedures papain was more favored than pepsin as a more effective enzyme. It is also used commercially as a meat tenderizer. Papain splits the peptide bonds of complex proteins, reducing them to individual amino acids that can be easily used by the body for repair and growth. Including the enzyme papain with the consumption of a meal that has meat, can significantly increase how quickly that meat is digested. Other proteins, such as casein in milk and gluten in wheat bread, that are known to cause digestive complications, may also be supported with papain. Papain is one of the Proteolytic Enzymes. Proteolytic actually means the digestion of proteins. These enzymes when present in the blood reduce inflammation by removing oxidize and damage proteins and break them down. Damage or “free radical” proteins are known to assist in autoimmune disorders such as chronic fatigue, severe allergies and an immune system that is more susceptible to infection and disease. Papaya is loaded with vitamin C which is good for the immune system. The nutrients in papaya help to reduce menstrual pain. For those women who suffer from menstrual pain, should include daily servings of papaya in their diet. One of the benefits of the enzyme papain is it helps in regulating and easing the menstrual flow during a woman’s monthly period. Papaya is great for eye support: The nutrients in papaya are vitamin A and flavonoids like beta carotene, zeaxanthin and lutein. Zeaxanthin and lutein act as antioxidants in the eye, keeping the mucus membranes healthy and preventing damage to the cells in the eye. Vitamin A in papaya helps prevent age related macular degeneration. Another important thing about papaya is the carotenoids are more bioavailable than the vitamin A in foods like carrots. Conclusion: It is really very interesting to me how healthy papayas are. I grew up in the Caribbean and eating papayas was something that I did. As a matter of fact, I am willing to admit that in those early years, I was eating healthy and was not aware of it. It is really a treat to eat papayas, because they are delicious and are also loaded with healthy nutrients.